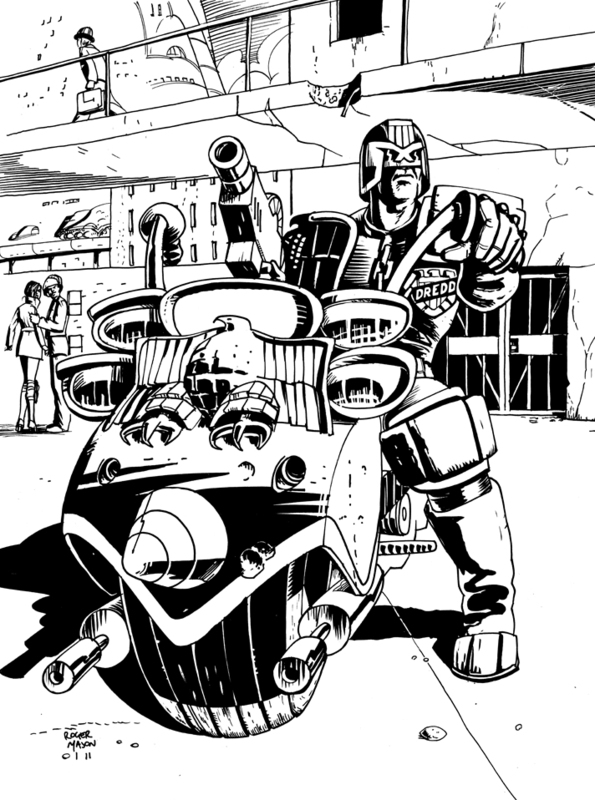 I have been drawing some Dredd-related imagery recently and will be posting it up here over the next few weeks. 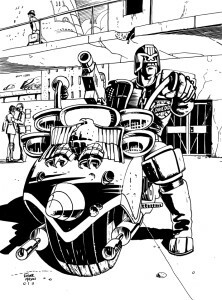 This week, Dredd sits on his bike gurning. Stay tuned for some deadly-but-slinky female judges.